Travel to the hottest sightseeing cities at the lowest prices and in the most economical way. 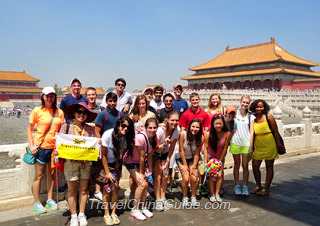 Our student tours provide students with the opportunity of not only enjoying the scenery, but also a study experience to discover the unique history and culture of the country. Enjoy an unforgettable and educational trip with us now! 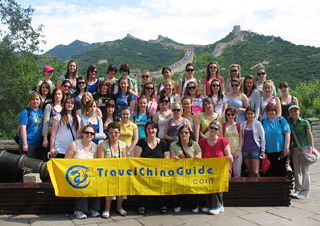 This is a golden triangle tour to China’s top three tourist cities, Beijing, Xian and Shanghai, with special activities for students, such as Chinese language and Chinese farmer’s painting lessons, Chinese Kung Fu learning, flying kites and making cloisonné. 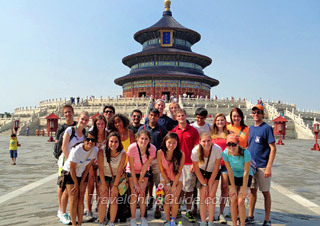 A 12-day exploration to the famous attractions in Beijing, Xian, Guilin, and Shanghai, with hiking journey along the Great Wall and Li River, learning Chinese language, painting and cuisine, experiencing farm work and communicating with local students. The itinerary is designed to cover the elites of Beijing and Shanghai within 6 days, including Forbidden City, lovely pandas, martial art learning, Great Wall hiking, high-speed train transferring to Shanghai, Shanghai Museum, and a fantastic acrobatic show. During this ten-day journey, high-speed trains take you to three ancient capitals, Beijing, Luoyang and Xian, where you will get close touch with splendid Chinese folk arts, such as kite-flying, acrobatics, Kung Fu, and paper-cutting. 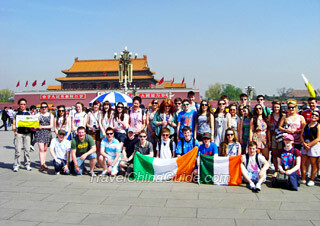 Then the journey will be concluded with dynamic Shanghai for you to learn modern arts and development in China. It is a trip to understand Beijing in five days. Learn its history from the ancient Forbidden City and Great Wall, experience its culture in a Peking Opera School and the cloisonné factory, and enjoy its modern art in 798 Art Zone. The lovely panda in Beijing Zoo is also waiting for your visit. This is a 12-day trip to get a close look at China's colorful history, breathtaking scenery, domestic life, and high technology. 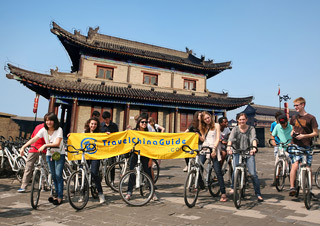 Apart from sightseeing Shanghai, Chengdu, Leshan, Xian and Beijing, you will also participate in students' activities. 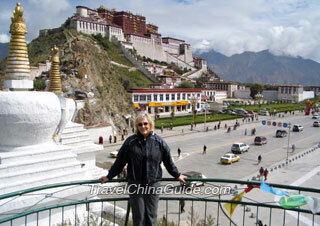 Nine days visiting old Chinese cities on the high-speed train. Travel back in time to the last feudal dynasty in Beijing by visiting its royal palace, altar and garden, and hike along the ancient great wall. Experience the life of the past in the old town of Pingyao. 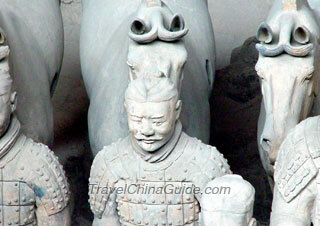 Dig deep into Chinese history in the monastery and grottoes in Datong. 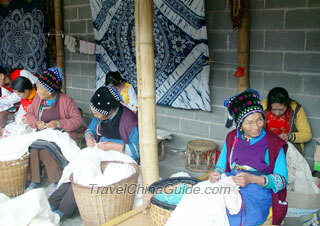 This is a seven-day Guizhou adventure with family visit and home stay in local Miao villages. You will be amazed by the charming landscape in the southwestern areas. The splendid culture of Miao, hospitable Miao people and their delicious cuisines will all leave an ever-lasting memory. 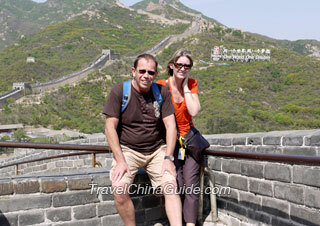 This is a 13 days tour to the southeastern cities in China. Starting from fashionable Hong Kong, you will experience the beauty of China in romantic coastal city Xiamen, mysterious Hakka earth castles, picturesque Guilin and Yangshuo, idyllic Longsheng, and finally modern Shanghai. This trip, including the hottest attractions in Beijing, Xian and Guilin, presents the country's history, custom, cultural sites and natural scenery. The ideally connected route will make your trip totally an interesting and a memorable experience. This classic tour with cheap price allows you to appreciate the most essential parts of the country. Beginning at the capital city Beijing, you will follow the route to admire the natural beauty of Guilin and experience the modern civilization in Shanghai. Following this route, you will experience a relaxing downstream Yangtze River cruise from Chongqing to Yichang and also visit the classic Chinese destinations of Beijing and Shanghai with an affordable package tour. Magnificent Beijing, mysterious Tibet, historical Xian, picturesque Guilin and prosperous Shanghai, all have their own distinctive features and charms. Enjoy these at your own pace with an economy and cheap tour package. In addition to having access to China's historical culture and modern beauty in Beijing, Xian and Guilin, the folk customs of ethnic groups in Yunnan will also be impressive to visitors. The classic combination of popular tourist destinations is worth all of your time spent. How many days do I need for the above tour on my own? 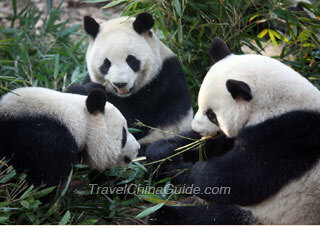 For Chengdu city, two or three days are enough to cover the main attractions. If you travel to Jiuzhaigou and Emeishan, four extra days are needed. As for Zhangjiajie, it normally needs three days to visit there. Visiting Zhangjiajie from 30 March 2017. What are the ideal places to visit in 5 days ? We will be staying near the city centre. in Zhangjiajie. We will appreciate if you could suggest a likely itinerary visiting the important places including Tianment Mtns, Glass bridge and Wulingyuan area. Will 3 nights in ZJJ be sufficient? Is there bus transport to Phoenix village where we plan to spend one or two nights ? After that to return to Changsha by busfrom Phoenix. Please advise. Thanks you. It normally needs 2 or 3 days to explore the Zhangjiajie National Forest Park, half day for Tianmen Mountain and another half day for Grand Canyon Glass Bridge. Therefore, 4 days & 3 nights are sufficient. From Zhangjiajie, you can take bus from Central Bus Station (near the railway station) to Fenghuang. The bus is available at 09:30, 12:30, 14:30, 15:30 and 17:20, and the ride takes around 4 hours. Or you may take bus or train to Jishou first, then take a regular bus to Fenghuang (one hour). From Fenghuang, you are suggested to take bus to Huaihua (one hour), and then take a high speed train to Changsha (1.5 hours). Vivien thank you so much for your info. By the way is Shiniuzhai suspension bridge the same as the Grand Canyon bridge ? What about the glass bridge at Tianmenshan ? Please clarify for me. Thanks again. The glass bridge at Zhangjiajie Grand Canyon is the longest and highest one in the world, and the Grand Canyon is only around 30 minutes' drive from Wulingyuan Scenic Area. Shiniuzhai is in Yueyang, which is about 6 hours' drive from Zhangjiajie. There is also glass bridge at Tianmen Mountain, and the site is just located in Zhangjiajie city area. Among these three glass bridges, the one at the Grand Canyon is the most famous. Hi, you should submit the application to the consular office of the Chinese Embassies or Consulates in person or you can entrust a travel agency or a visa agency to act on your behalf if you can't come personally. I am going to china mid decembre. Knowing it is winter, is it still possible to do the Li River cruise from Guilin to Yangshuo( by closed boat would be better I suppose)? I know the hills around the river will be browner but will there be something to see from the Longji terrasses or should I leave this for another trip? How long a stay at Guilin should I take if I want to visit Guilin, do the cruise (how long does it take in decembre? I heard it is shorter that in summer?) 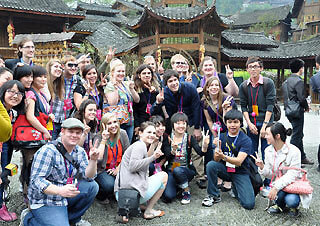 and do the Longji terrasses? and how long does each activity respectively take approximatively? 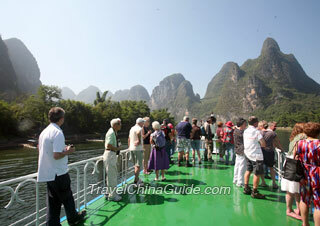 The Li River cruise is available in December but the sceneries are not so good during the winter time. The cruise takes about 4 hours and arrives at Yangshuo at around 2pm. 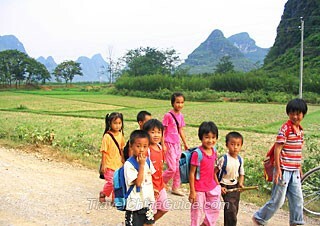 It generally needs 4-5 days for you to cover Guilin, Yangshuo and Longji Terraces. One day is enough to visit the main attractions in city area, like Reed Flute Cave and Elephant Trunk Hill. One day to Longsheng and one or two days at Yangshuo.